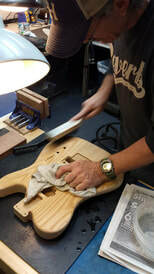 At Keith Holland’s Guitar Hospital, we care for your instrument as if it were our own. 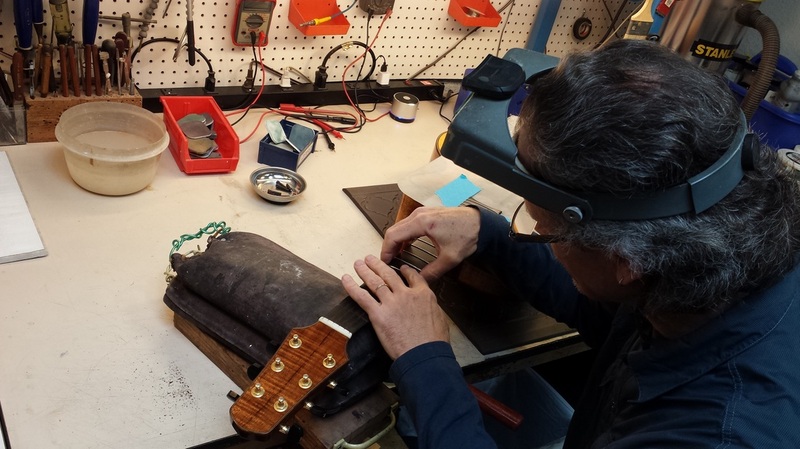 Our expert luthiers and technicians will happily discuss repair issues and make recommendations as necessary. From string changes to re-frets, broken headstock repairs to extensive modifications, we do it all with professionalism and pride in the quality of our work. Does your instrument play as well as you remember? Is it suddenly a struggle to play in certain places on the neck? 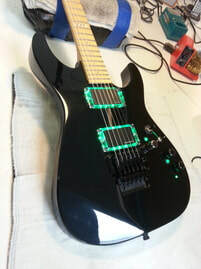 Fret buzz a problem? Bring your instrument in and have us take a look. Sooner or later, most instruments are going to require a certain degree of restoration. Minor finish repairs and re-finishes are no sweat. 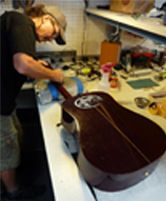 We can handle broken headstocks and crack repairs. Our luthiers can handle just about any woodworking task to return your instrument to glory, even on vintage instruments. Maybe you love the feel of your guitar, but it doesn't sound quite right. Let us help you fully realize your instruments potential. Whether it be electronics or hardware upgrades, let us guide you down the path to your perfect playing experience. We work on a variety of instruments, including: Electric guitars, acoustic guitars, basses, amps, effect pedals, banjos, ukuleles, mandolins, band instruments, and other rarer instruments.